BRUSSELS, Belgium, 2016-Dec-15 — /Travel PR News/ — The Rezidor Hotel Group, one of the most dynamic hotel groups worldwide and a member of the Carlson Rezidor Hotel Group, is proud to announce the signing of the first Radisson RED in Georgia. The new build city center stand-alone hotel will be located in the heart of the city on Chavchavadze Street. 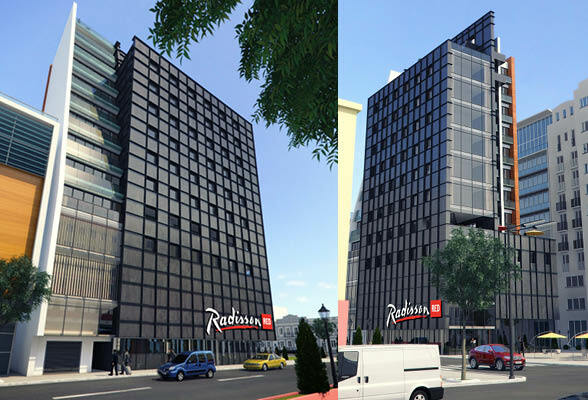 The Radisson RED Chavchavadze, Tbilisi is expected to open its doors in mid-2019, and will feature around 100 rooms. “We are delighted and confident to partner with The Rezidor Hotel Group and to bring the first Radisson RED to Georgia. Rezidor is one of the strongest and most innovative hospitality leaders in EMEA. With the award-winning launch of Radisson RED in Brussels earlier this year, they have once again proven their capacity to operate successful brands and hotels internationally,” added George Gedevanishvili, Project Manager for LLC Commerce Group. The Radisson RED Chavchavadze, Tbilisi will cater for business and leisure travelers and will feature a restaurant with an outdoor terrace and rooftop bar. The hotel will be ideally located in the prime city center, on one of the main avenues named after the writer Ilia Chavchavadze. The Radisson RED Chavchavadze, Tbilisi will be managed and operated by The Rezidor Hotel Group. Radisson RED is a new hotel philosophy and lifestyle brand inspired by art, music and fashion. RED connects with an ageless mindset and creates an experience that is localized, meaningful and appealing to those who appreciate bold design, individuality and simplicity. The brand will open its first hotels in 2016 and plans to have 60 hotels operating globally by 2020. For more information, visit raddisonred.com. Connect with RED on social media: @RadissonRED on Twitter and Instagram, facebook.com/RadissonRED and pinterest.com/RadissonRED. This entry was posted in Hospitality, Hotels, Travel, Travel Management and tagged Elie Younes, George Gedevanishvili, Radisson RED in Georgia, Tbilisi, The Radisson RED Chavchavadze, The Rezidor Hotel Group. Bookmark the permalink.